Far from the intrigues of the king's court, all Lady Gillian desired was to keep her family's estate safe - and to honor her vow never to marry. Then Sir Bayard de Boisbaston arrived at D'Averette castle to warn of possible danger and protect all within. Who was this man, to take over her castle? 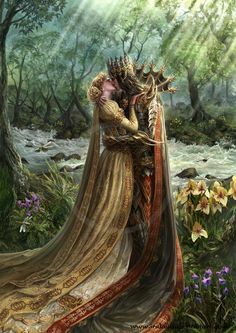 No matter that he was surely the handsomest knight in the realm, and made her rethink her steadfast vows. Chivalry demanded Sir Bayard protect Lady Gillian. Though he never expected to do battle with the lady herself. Gillian was a woman of fire and spirit who soon had Bayard plotting a conspiracy. One to convince the Lady Gillian that a knight of her own was useful, not only on the battlefield - but in the bedroom, as well! Sir Bayard de Boisbaston, is a Knight of the King and aided his brother in finding traitors to the crown. But there was one traitor, who slipped through the cracks and is out for vengeance against his brother wife’s family. Bayard is then sent to help Lady Gillian and protect her from any harm from Sir Richard. Lady Gillian has worked hard to keep their family’s estate prospering and protected. She works along side the servants so that they can all benefit from hard work and determination. Gillian will do whatever it takes to keep everything running smoothly. But when Sir Bayard arrives, all Gillian sees is a man that could be a threat or an imposter. But even after she receives word that Sir Bayard is who he claims to be, she still mistrusts him. But Lady Gillian knows that there may be a threat to herself, but she is determined to live her life without fear. She is captivated by Sir Bayard, he is unlike most men in his position. He is understanding, strong and capable, a good leader but respects Gillian and her insistence to remain independent. Sir Bayard de Boisbaston is a Knight, and even though he is close to his brother, he has been trained by the toughest…his father. His father wasn’t easy on Bayard and pushed his limits in the worst way. Despite how tough his childhood was, his older brother has always been his work. Bayard became a Knight, and even though he has some regrets, he has tried to live a life of honor. When he meets Gillian, he isn’t sure what to think of her. At first she is a bit of a prude, not feminine in any way. But as time goes by, he starts to see how dedicated she is to the people she protects and works hard to provide a good life for. Bayard is a hero I always love reading about. He is honorable, loyal and honest. I love how protective he is of Gillian and is genuine in everything he does. Lady Gillian has fought hard to have the confidence to take care of her family’s estate. She will do anything to protect it, no matter the cost to herself. Her father tried to teach her and her sisters how little they mattered in life. But Gillian has proved that she is capable, strong and resilient. She has a difficult time with trust and opening her heart to Bayard. She once fell in love and paid the price. And she refuses to risk getting hurt again. 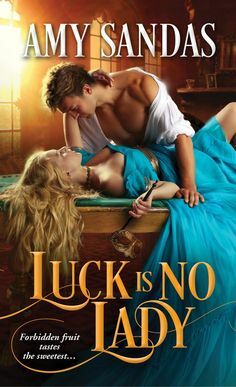 But Bayard, is different and even though they are forbidden to every marry, she can’t resist the feelings he evokes in her, and how he has changed her life and opened her up to new experiences and a passion she has never known. I love the way that Gillian, opens herself slowly to Bayard, and also to new experiences and stops letting the past take control over her present and enjoy the moment. After their father died and she’d made her promise to her sisters, it had been as if the spell had lifted. She was free–as free as a noblewoman could be, even if she wasn’t beautiful and charming. She had been happy and content, thrilled to be the mistress of Averette. And then Bayard had come, at first to frustrate and annoy her, then to make her feel respected and admired and finally, desirable. The Notorious Knight is a wonderful story that takes place in the early 1200’s. This is part of a series but is not the first book, it in the middle of the series. But despite the setting, I definitely could recommend reading this as a stand alone. It brings you up to speed pretty quickly, but after reading this one, I am very curious about the first book now. Margaret Moore is such a talented writer, and I couldn’t get enough of Notorious Knight. It does start off a bit slow, but once it picks up the pace then I really got into it, and didn’t want to put it down. I really found the murder plot interesting, and adds a bit of a mystery and suspense feel to the story. But in the first half of the book, that sense isn’t super strong. It slowly eases into the most intense part of the plot. What was most intriguing was seeing the way these characters develop. The romance was a bit different. Its very slow, and at first these two just tolerate each other, but in a slow but steady way they learn to trust each other and open up in small degrees and then once they finally embrace what they have…its quite lovely. I loved the sparks that erupt between these two. Even though their’s is a forbidden love, they fall for each other anyway. Then the story truly picks up pace when the danger increases, those they trust the most betray them, and soon they will have to fight to survive. What was most interesting was the whole unable to marry. But from the author’s notes and what I can remember from my history classes, this is the time when the Church had made some extreme measures on who can marry and they were very strict. This offered an interesting twist, with historical relevance and accuracy that made me fall in love with this story even more. A lovely medieval romance that kept me interested with each chapter, and excited to read more of this series. I know that you’re an honorable man. I’ve watched how you treat the women of my household. I’ve come to see that you’re a good and noble man, in the best sense of the word, or I would not be here. I know what I ask is sinful and immoral, but I cannot bear the thought of never being with you, not even once. To never experience pleasure in your arms, loving you and being loved. I love the pose here…so romantic and tender. I love the way they are facing each other and has such an intimacy to it. And that beautiful background adds the perfect touch. The Notorious Knight is a beautifully written romance that sweeps you away to the medieval era, in a time where deceit was everywhere, love within reach and loyalty was everything. SUPERB IN EVERY WAY!! Award-winning author Margaret Moore actually began her career at the age of eight, when she and a friend concocted stories featuring a lovely, spirited damsel and a handsome, misunderstood thief nicknamed "The Red Sheik." In addition to being a wife and mother of two, she's also been an award-winning public speaker, synchronized swimmer, an archer, and studied fencing and ballroom dancing. Margaret sold her first historical romance and the premiere book of her Warrior series, A WARRIOR'S HEART, to Harlequin Historicals® in 1991. Since that time, she's written over 25 historical romance novels and novellas. She has also written for Avon Books, as well as a young adult historical romance for HarperCollins Childrens Books. She now writes for Harlequin's new single title imprint, HQN.